Priscillas: Grannying ,Stitching and Thrifting ! Good Sunday morning ! I have been making a lot of granny squares ! They are so simple and fast to make .. The colors in this blanket seem so spring -summery ! I have 4 rows completed and lots more to join with the white .. 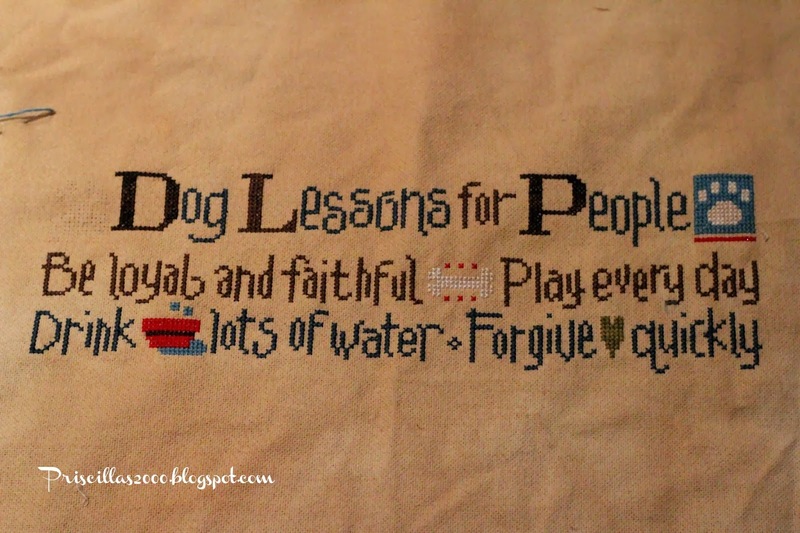 I have also been stitching ( and ripping out some stitching) Love this Lizzie Kate Dog lessons ! It is very quick to stitch if you don't make mistakes ! 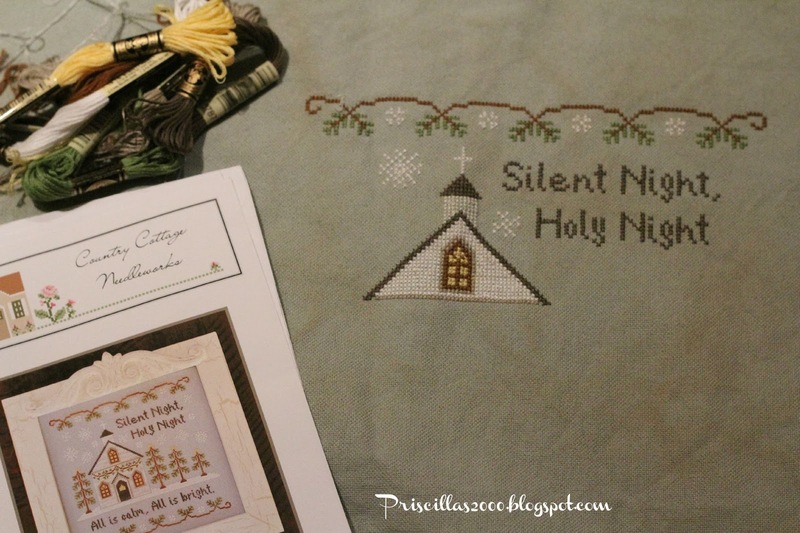 For the Santa Sundays On Instagram ( #santasundayxs) I am working on this Country Cottage Needleworks , Silent Night .. I started it before Christmas but just didn't have any stitching time to finish it! Yesterday we went to an Estate sale , It was 75% off , so I got the pedestal, small corning ware dish , and platter all for $4.50 ! The platter still has a $28.00 price tag on it like its never been used. 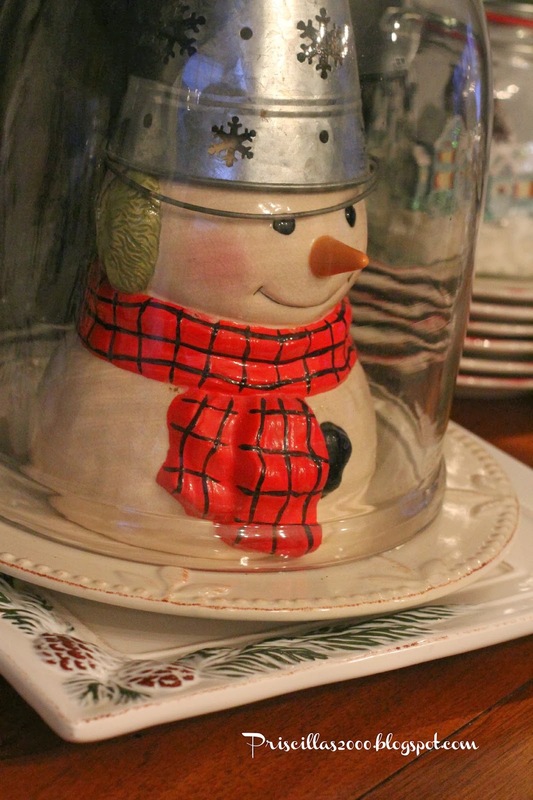 and for now the platter is under the snowman in the cloche.. love great bargains ! Then... 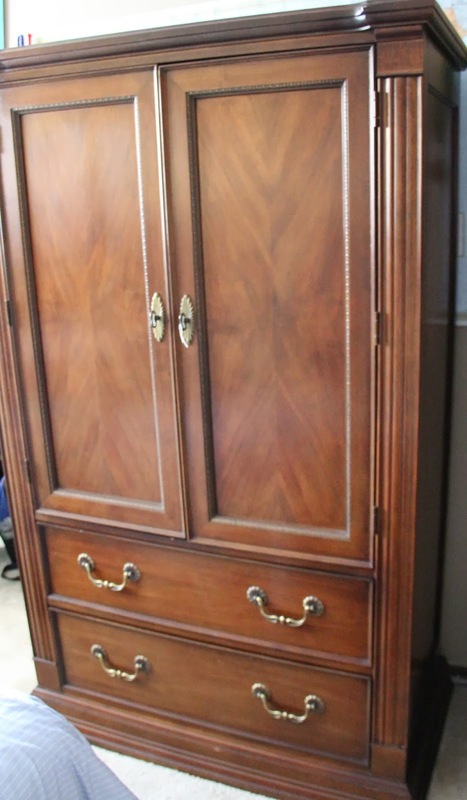 I have been wanting an armoire for my youngest sons room , for more storage for his clothes ..They had $150.00 price tag on this so we got it for $37.50 !Its a Bernhart piece... I haven't decided whether we will paint it or leave it , it does need new knobs ..but where are you going to get a piece of furniture for $37.50 ! Don't forget to stop by and enter to win the Dollar Tree $100.00 gift card ! I love your granny squares! The colors are just fantastic! Awesome bargains at the estate sale and your stitching looks wonderful! Well done, all around!!! So many beautiful grannies. Your blanket is a dream. I love it. Lovely projects and great finds!!! 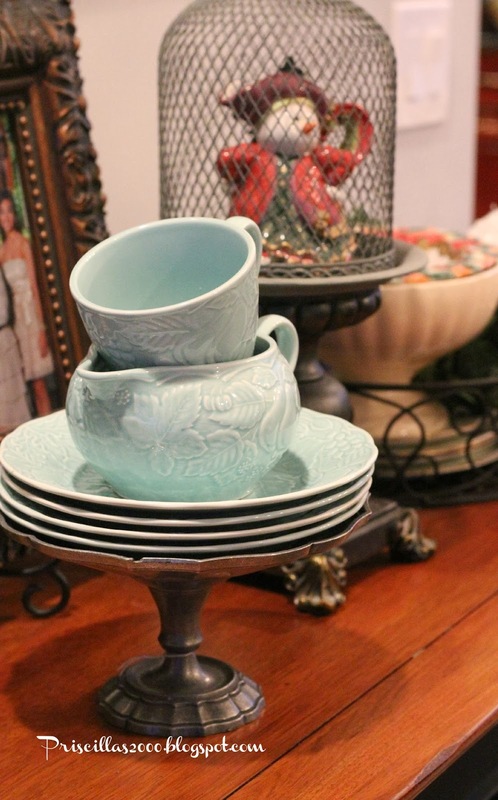 I love those plates you had for your pedestal ~ the color is so pretty! 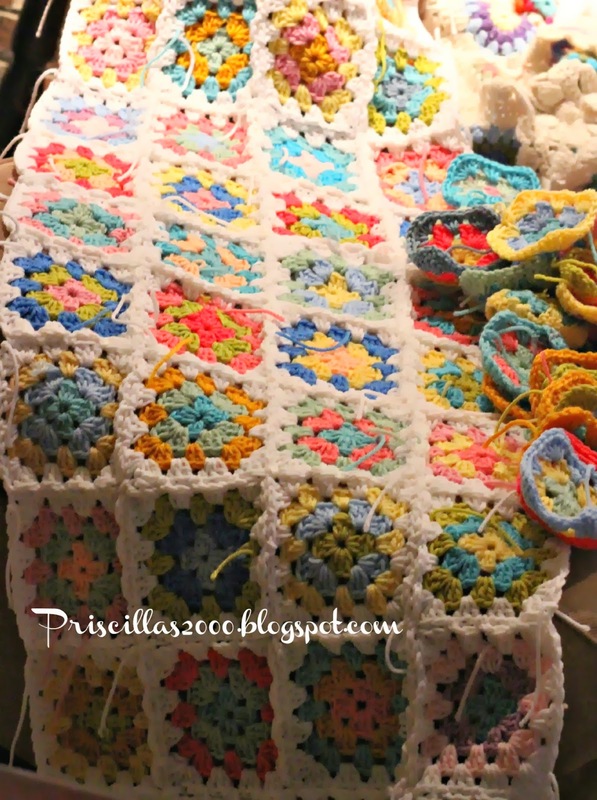 Very pretty blanket :-) Granny squares are fun and relaxing to work. Your stitching is coming along nicely too. And congrats on finding those great bargains! 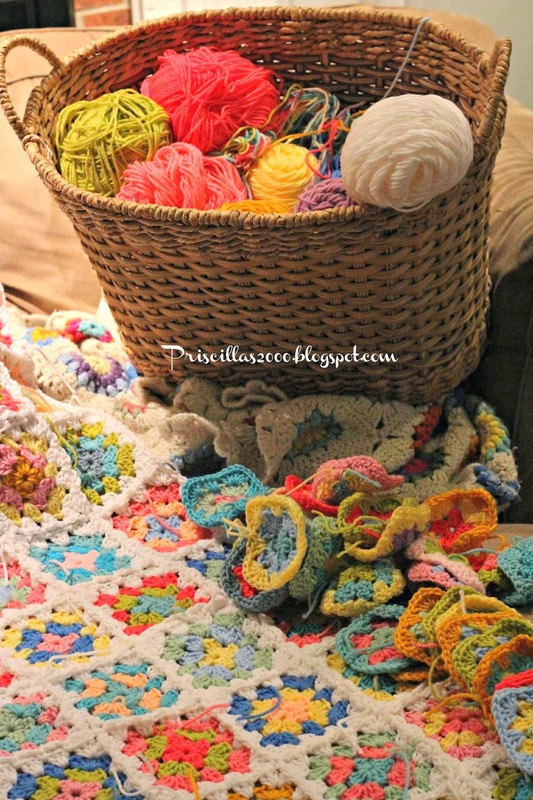 Love your granny squares, Priscilla and what amazing finds. That armoire is a spectacular bargain!! Love your granny squares, the colours are so pretty. And well done on all your finds, especially the armoire, what a bargain. 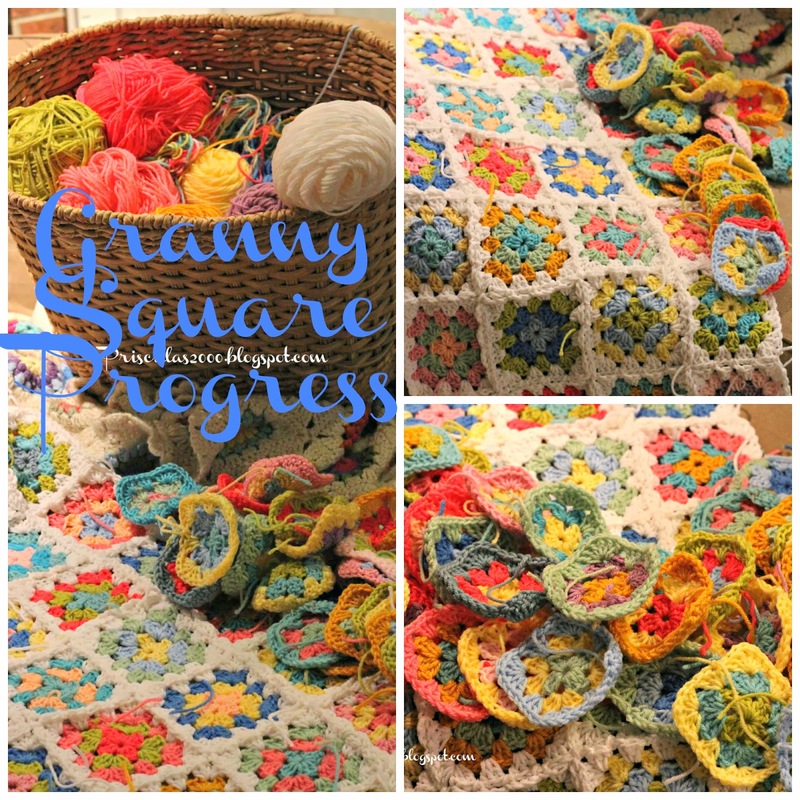 Loving the granny square progress and cannot believe u got that gorgeous piece for 37.50. It was your lucky day! Love the grannies, and your estate finds are excellent! 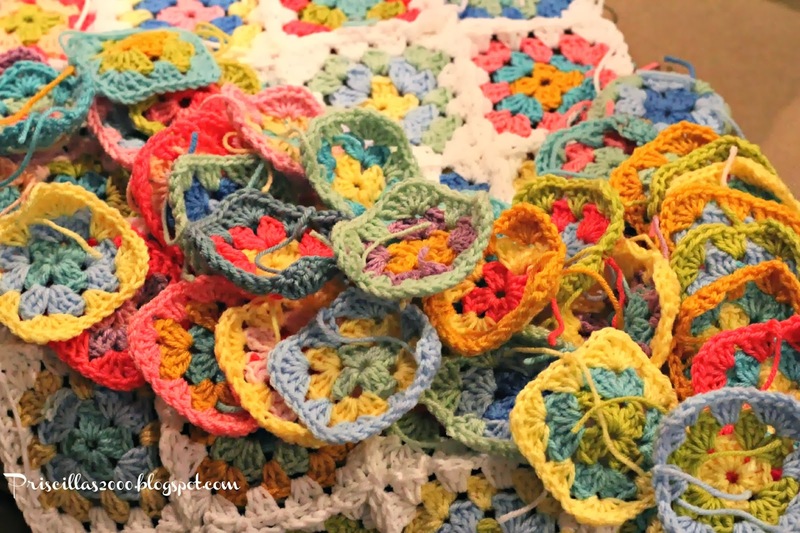 The granny squares are just gorgeous! I've got the Rules For Dogs stitchery on my to-do list for this year - nicely done! I love those colors. I just hate stitching all the squares together---well that and the thread ends...ugh--but it looks beautiful. Good deals! Hi I really love this granny square blanket that you crocheted. What a beautiful job and it's a lot of work. I am now following you by twitter and bloglovin. I saw this at the french country cottage party. I hope that you will come and visit me, I have a lot of crochet and knitting on my blog. Wishing you a nice weekend and happy crocheting! Oh my, can't believe you got the cabinet for that! Fabulous deal! 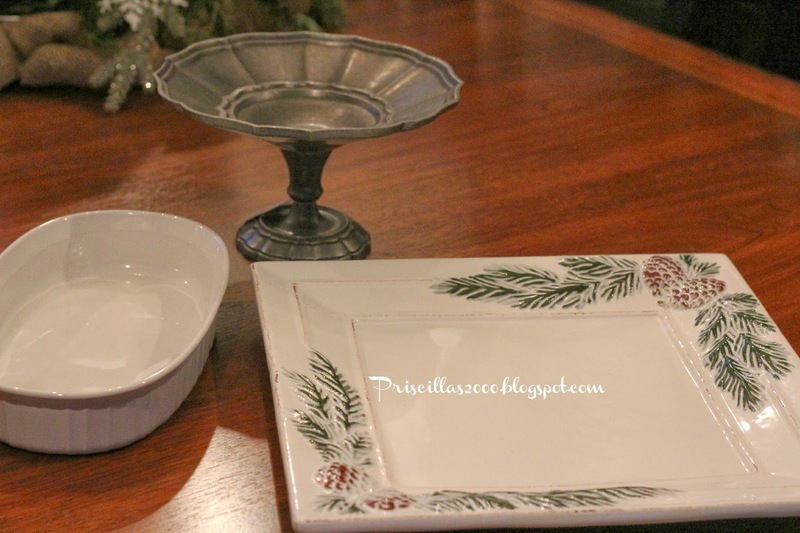 That platter matches the jar that I bought at a yard sale last year for $4. I used it on my Winter table. The granny squares and stitching's are coming along nicely. I am working on a clock stitching that I picked up the pattern at a thrift store. Just one question my friend. Do you ever sleep? lol! You get so much done! Thanks for sharing with SYC. I absolutely love the granny squares! The whole blanket is beautiful! I can't wait to see it completed! Thanks for sharing on Twirl & Take a Bow last week!